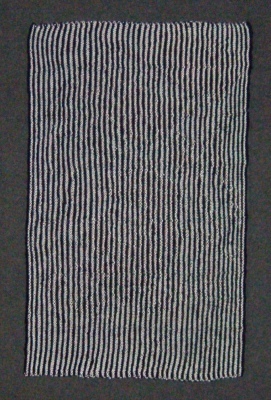 Most of our illusions are knitted using DK (Double Knitting) weight yarns. 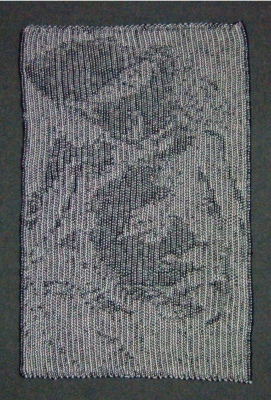 This one was knitted using very fine cotton to show that the effect is just the same, whatever weight yarn is used. The photos below show the front and back when you look straight onto the knitting.